Did you know that the 3rd December marks the 19th anniversary of the first text message ever sent to a mobile phone? To show how texting has changed the way we communicate Tatango has put together this infographic to show the development of texting over the last 19 years. And if you’re interested to know more about the development of text messaging then have a read of our recent blog post ‘Stephen Fry on the Phone – The Accidental discovery of text’. 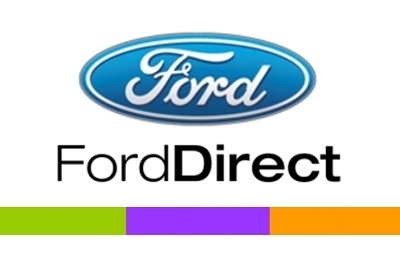 A joint marketing venture between Ford Motor Company and its franchised dealers – announced a new mobile service that lets shoppers receive what Ford is calling “prompt, targeted information” about Ford vehicles by simply sending a text message from their mobile device. For example, customers watching a Ford Fusion television commercial can text “Fusion” to a short code to receive local offers. Customers are then prompted to text their post code and applicable incentives are sent to the customer. Customers are then given the option to text their name if they would like to be contacted by their local dealer. Customers who submit names are sent to the local dealer for follow up. This infographic was sourced from Tatango on MobileMarketingWatch and shows the demographics of who’s opting into SMS campaign. The data shows that men are significantly more likely to opt in to SMS campaigns than women — with 57% of male respondents indicating opt-in opposed to just 33% of female respondents. This is a useful fact for companies using SMS marketing as it identifies that they need to look into their campaigns and identify why their campaigns are more engaging and effective with males than females. By looking into this they can make their campaign more effective by maintaining how they’re engaging males but alter their campaigns slightly to try engage more females. Overall, this should increase the number of people opting in with a better demographic balance and encourage more business. The best approach may be to set up two alternative campaigns one aimed at males and one at females in order to effectively engage both demographics.